The smart home ecosystem supporting Apple’s HomeKit protocol has grown slowly, but surely, since the first products hit shelves in June 2015. While there are number of different smart outlets and thermostats, other categories are beginning to come into focus as well like security cameras and even smoke/carbon monoxide alarms. 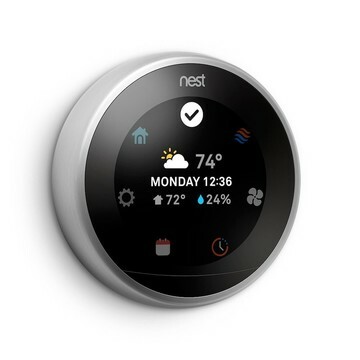 Nest pioneered the smart smoke detector with its Protect line that arrived in late 2013. And while that device is a solid choice, since the company is owned by Alphabet, don’t hold your breath waiting for HomeKit support to come to the Protect. 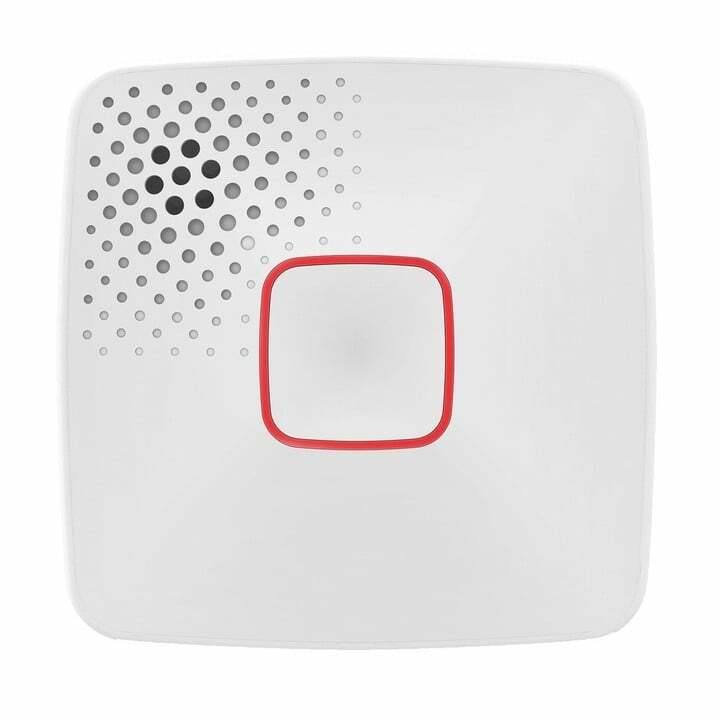 But a well-known name in standard detection equipment, First Alert, has stepped up to the task with its Onelink Smoke + Carbon Monoxide Alarm. Before getting started, you’ll first need to take at the existing detector at your home. There are two types – battery powered or hardwired. First Alert offers the Onelink in both varieties. Since my house already featured hardwired alarms, I took a look at that model. While the hardwired model is powered by the electricity in your home, it does feature a backup battery that can in case you’re without power. 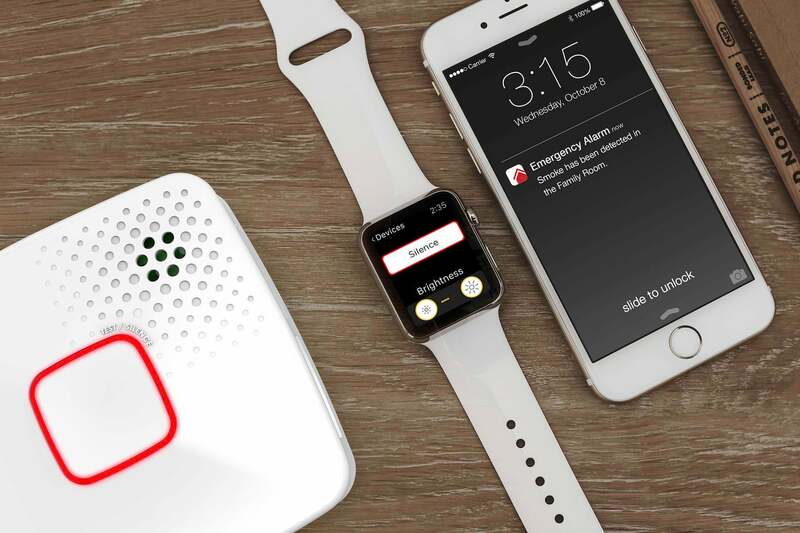 The alarm itself has a life of 10 years, and you won’t ever need to change a battery – a safety feature that is probably a big upgrade from your current smoke detector. First Alert offers a warranty for the entire life of the device. Included in the box is everything you need to install the alarm. Even the most basic DIYer should be able to do it quickly and easily. Inside the box, along with the alarm itself, is a mounting plate, junction box screws, and three different adapters to use with existing wiring. 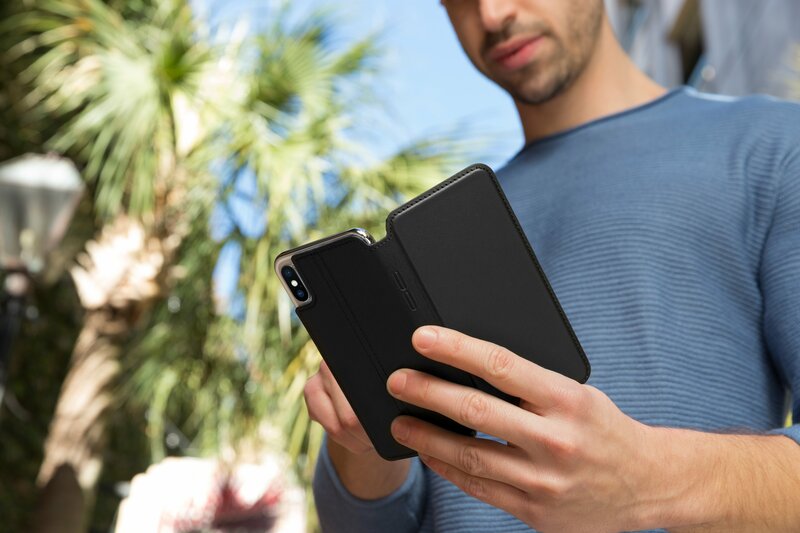 The Onelink is square in shape and around the same shape as the Protect. Only available in white, there’s a large button in the center and the speaker opening is in the top left hand corner. In general, it looks similar to any non-smart smoke alarm and should blend in to your home. Before removing any current detector, the first major step is to turn off the power at the circuit breaker at your house. Then it’s time to get down to business. After removing the current alarm from its mounting plate, you’ll also need to unplug the electrical wire. Then it’s time to examine the installed wire. If that won’t fit into the back of the Onelink, there are two different adapter plugs to try and one that can be used for installing a new hardwired alarm. One of those should work. Finally, place the detector on the mounting plate and slightly twist clockwise to lock it into place. All told, even though I needed to use an an adapter plug, installation took less than 5 minutes. 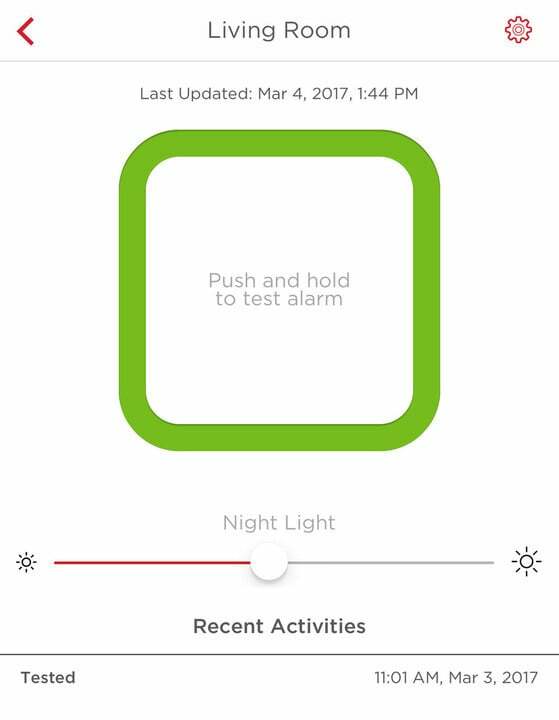 Using the Onelink Home app, users can test their alarm, change the brightness of the night light and view recent activity. To get the detector ready to go, download the companion Onelink Home app. 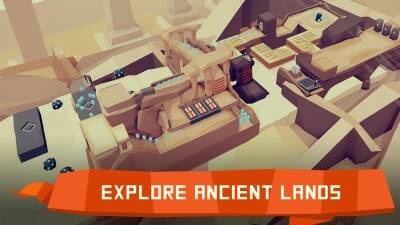 It’s free and can be used with both an iPhone or iPad. Once the Onelink starts blinking a blue light, go ahead and open up the app. Select your detector. The special HomeKit code needed to complete setup is located on the bottom of the alarm or on the user manual cover. Next, you’ll need to select or create a room where the detector is located so it can be used with the Home app. Finally, you’ll need to specify a name for the Onelink when querying Siri about its status. 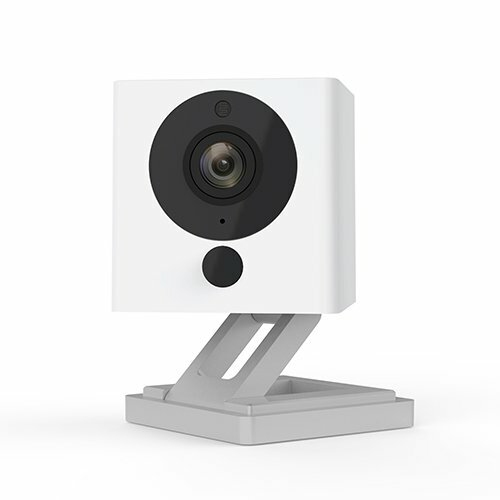 I’ve been using the Onelink for a few weeks and haven’t had any problems with false alarms or other issues as some users online have noted. While I mostly interact with the detector through Apple’s built-in Home app, you’ll still want to keep the Onelink Home app on your iPhone or iPad. 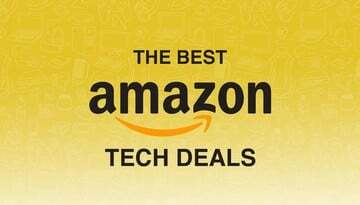 It can be used to adjust the intensity of the detector’s nightlight, review recent activities, test the alarm, and quiet nuisance alarms if ever needed. As a general tip, its always good to test the detector monthly to check is everything is still working. During a test, you can see the alarm in action. If it detects smoke, along with an extremely loud 120-decibel alarm, it will announce “there is smoke” in the location name you’ve set. A carbon monoxide alarm will be announced with a set of shorter beeps and a declaration that CO has been detected and the location. 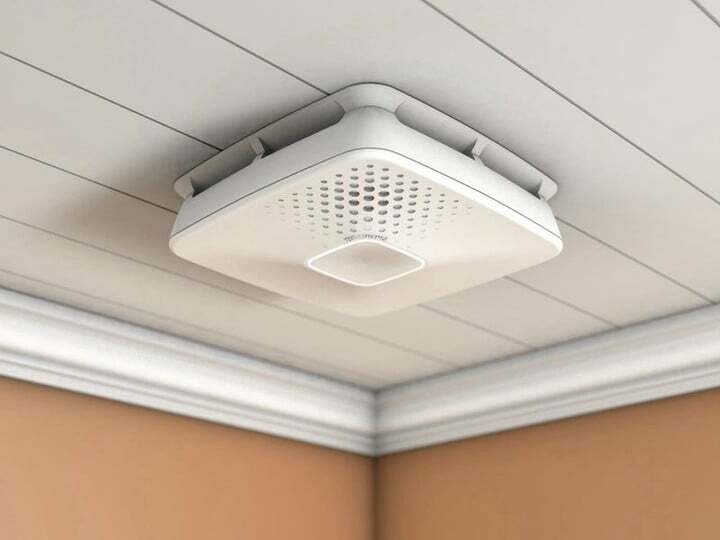 If you have more than Onelink installed, they will work together using Bluetooth mesh technology and both sound if an issue is detected in the house. That can definitely be useful, especially in a multi-story house. 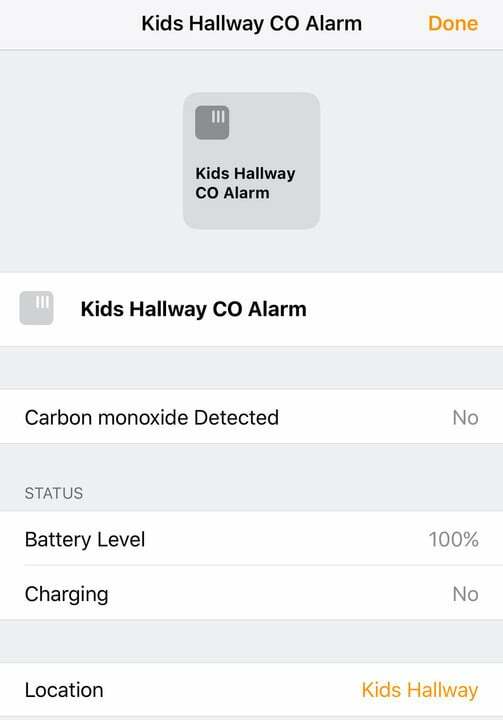 In the iOS 10 Home app, the detector appears twice - as a CO and smoke alarm. Even though the detector is something anyone would hope not to ever use, the ability to interact with other HomeKit compatible devices opens up a great number of possibilities. 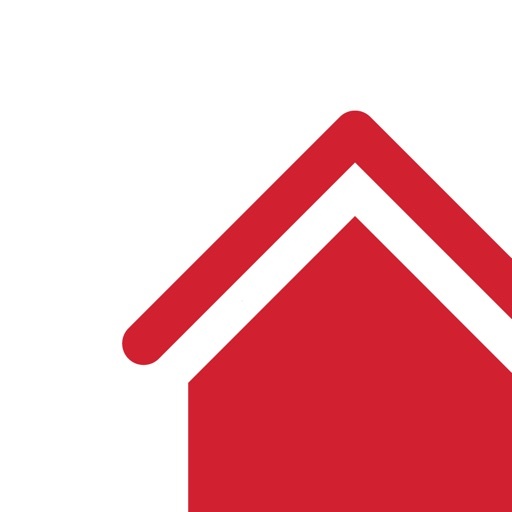 Using the Home app, each Onelink shows up twice – once as a smoke detector and again as a CO detector. If you have a fourth-generation Apple TV or an iPad always at home, you can craft a number of different automations with other HomeKit products. In my case, if smoke or CO is ever detected – only after sunset when everyone is likely to be sleeping – all lights in my house will automatically turn on to 100 percent and both my front and rear doors will unlock. That would make it just a little easier for my family to exit the home. And in a life-threatening emergency, every little bit counts. Since testing the alarms won’t trigger the HomeKit automations, I purchased a smoke detector tester spray online. Basically canned smoke, the harmless aerosol will truly test the sensing capability of the detector. I tested out the detector with the spray, and the automations worked flawlessly. The Onelink is a great way to beef any HomeKit house. Overall, the Onelink is a interesting and much-needed addition to the HomeKit ecosystem. 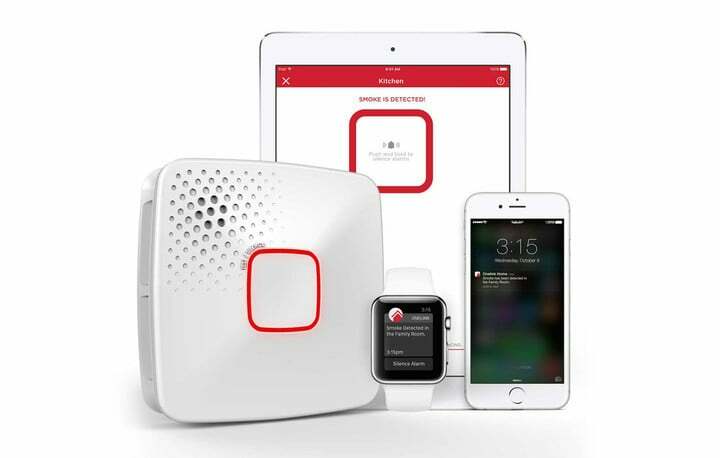 While it’s obviously more than twice as expensive as a non-smart smoke/CO detector, it should be on the top of your list simply for the notifications and compatibility with the iPhone and iPad. It’s currently Nest Protect, and the HomeKit compatibility is worth the price of admission. I wouldn’t recommend purchasing the detector as your first HomeKit product, but if you’ve already installed other compatible devices, the automation functionality opens up some interesting uses.